Wladimir Klitschko is a renowned heavyweight professional boxer from Ukraine. This biography profiles his childhood, family, personal life, career, etc. 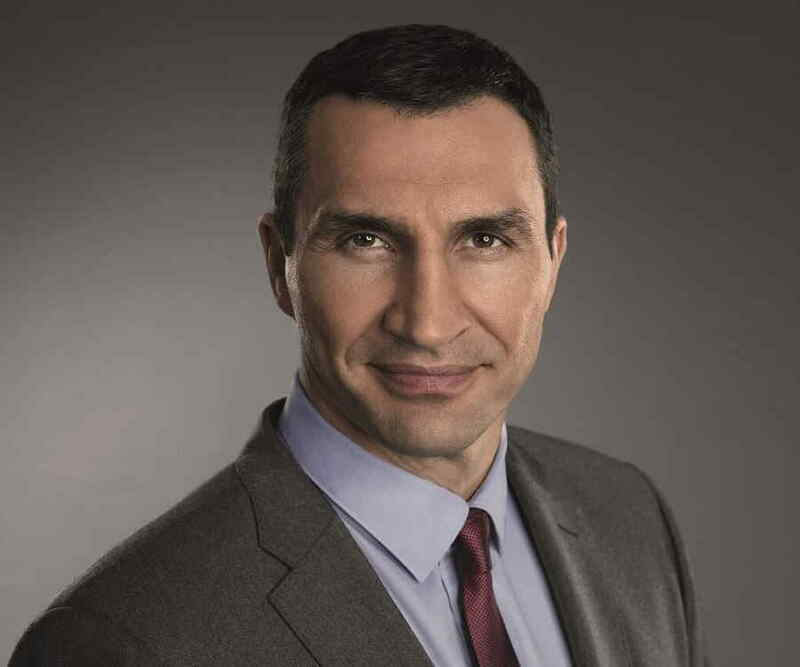 Wladimir Klitschko is a renowned heavyweight professional boxer from Ukraine, who dominated the ring from 1996 to 2017. During his amateur career, he won the super-heavyweight gold medal at the 1996 ‘Summer Olympics’ at Atlanta, Georgia, defeating Paea Wolfgramm of Tonga. He turned professional under the guidance of German professional-boxing trainer Fritz Sdunek and had a straight run of 24 wins with 22 knockouts, till he suffered his first defeat against American boxer Ross Puritty. He was known for his knockout punch, using a strong jab, straight right hand, and left hook, coupled with great mobility and footwork. Wladimir and his brother, Vitali, are the only two brothers to hold all the world heavyweight titles between them, simultaneously. 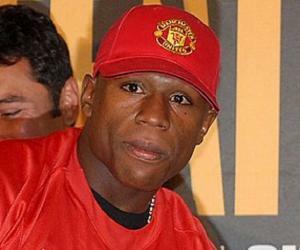 Having been a two-time world heavyweight champion and having held the ‘World Boxing Association’ (WBA), the ‘International Boxing Federation’ (IBF), the ‘World Boxing Organization’ (WBO), the ‘International Boxing Organization’ (IBO), the ‘Ring’ magazine, and the lineal titles, he announced his retirement from professional boxing in August 2017, ending a career of 64 wins from 69 bouts with 53 knockouts. After a divorce from his first wife, he is now in a steady relationship with American actor, Hayden Panettiere, with whom he has a daughter. Though the Klitschko era has ended, Wladimir remains a heavyweight-boxing legend, who will always be remembered. 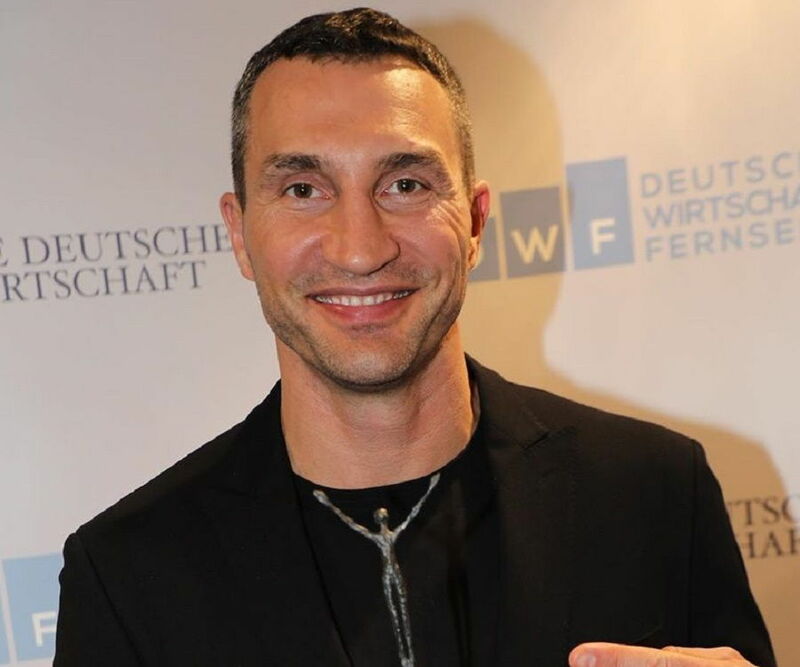 Wladimir Wladimirowitsch Klitschko was born on March 25, 1976, in Semipalatinsk (now Semey), Kazakh SSR, Soviet Union (now Kazakhstan), to Vladimir Rodionovich Klitschko and Nadezhda Ulyanovna. His father was a Soviet Union ‘Air Force’ major general, who was posted as a “military attaché” to East Germany. His father was also responsible for the clean-up operations after the Chernobyl disaster and was later diagnosed with cancer, to which he succumbed in 2011. His mother worked as a flight attendant. Vitali became a ‘WBC’ and ‘WBO’ champion and later became the Mayor of Kiev. The brothers have never faced each other in a professional bout because of a promise they gave their mother. Wladimir was coached in Poland’s ‘Gwardia Warszawa’ boxing club while he was a teen and became famous for knocking out the other boys in the club. He joined amateur boxing in the early 1990s and won the ‘Junior European Championships’ heavyweight title in 1993. 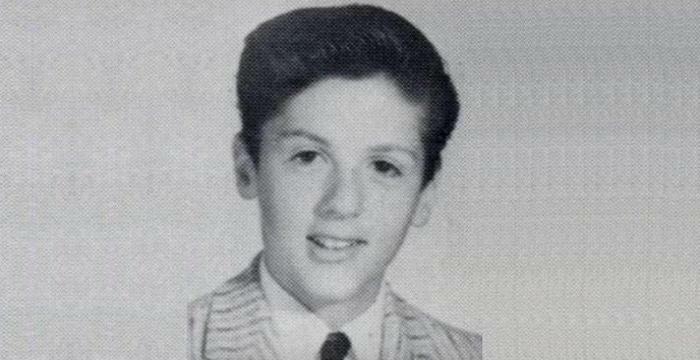 He had a string of wins in amateur boxing before reaching the age of 20. These include the ‘Junior European Championships’ heavyweight title, in 1994, and the gold medal at the ‘Military Championships’ in Ariccia, in 1995. He was also the runner-up at the ‘Junior World Championships’ in Istanbul, in 1994, and at the ‘European Championships’ super-heavyweight bout in Vejle, in 1996. The highlight of his amateur career was his gold-medal win at the 1996 ‘Summer Olympics’ super-heavyweight bout, at Atlanta, Georgia, defeating Paea Wolfgramm of Tonga. He had replaced his brother, who was debarred due to use of steroids. 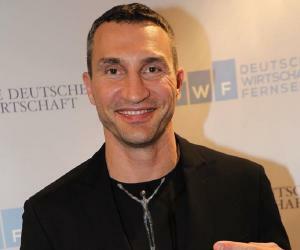 Wladimir turned professional under the guidance of German professional-boxing trainer, Fritz Sdunek, who also trained his brother. 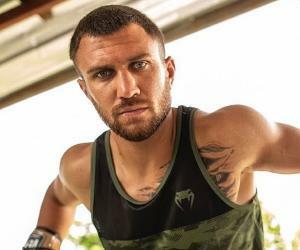 He had a straight run of 24 wins with 22 knockouts, till he suffered his first defeat against American boxer Ross Puritty in a bout fought in Ukraine. 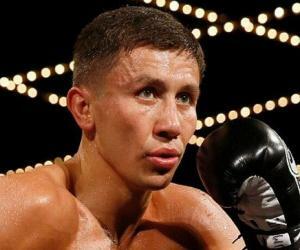 He has never fought a professional bout in Ukraine thereafter. He fought his 1996 ‘Olympics’ opponent, Paea Wolfgramm in a professional bout in 2000 and knocked him out in the first round. Later that year, he snatched the ‘WBO’ heavyweight title from America’s Chris Byrd, who had previously defeated his elder brother. He went on to defend his title five times against Derrick Jefferson, Frans Botha, Charles Shufford, Ray Mercer, and Jameel McCline. His fight against Germany’s Corrie Sanders in 2003 was termed ‘The Ring’ magazine’s “ Upset of the Year,” where he was dropped down twice in the first round and again in the second round till the referee had to stop the contest. Despite employing legendary trainer, Emanuel Steward, Klitschko lost to Lamon Brewster again in a ‘WBO’ title match that year. The setback did not stop Klitschko from getting back in form and defeating DaVarryl Williamson and the undefeated Cuban boxer, Eliseo Castillo. He also defeated the undefeated Nigerian boxer, Samuel Peter in an ‘IBF’ and ‘WBO’ eliminator bout. In 2006, he once again beat Chris Byrd by a technical knockout in a contest for the ‘IBO’ and ‘IBF’ heavyweight titles. He also beat Ray Austin by a knockout in the second round. The following year, he overcame his 2003 defeat against Lamon Brewster and demolished him in the sixth round, despite a broken finger. In 2008, he retained the ‘IBF’ and the ‘IBO’ heavyweight titles and won the ‘WBO’ heavyweight title by defeating the ‘WBO’ heavyweight champion, Sultan Ibragimov, in New York City. The bout was one-sided, with Klitschko dominating the ring throughout. His winning spree and dominance of the ring continued, with him knocking out Hasim Rahman and Tony Thompson the same year. He challenged ‘WBA’ title-holder David Haye to a bout, but Haye avoided him on two occasions and later chose to fight his brother Vitali. Wladimir finally fought Haye in 2011 for the unified honors of the ‘WBA,’ the ‘WBO,’ the ‘IBF,’ the ‘IBO,’ and ‘The Ring’ heavyweight titles. Klitschko dominated the fight and won by a unanimous decision of the judges. His winning era came to an end when he fought Tyson Fury in a ‘WBO’ mandatory challenger bout in 2015 that went in favor of Fury on points. A rematch was scheduled but never took place due to Fury’s medical condition. Klitschko fought his last heavyweight title bout against British boxer Anthony Joshua in 2017. It was a closely contested bout that Joshua won by a technical knockout, as the referee stopped the contest after Klitschko was dropped twice and cornered thereafter. Having been a two-time world heavyweight champion and having held the ‘WBA,’ the ‘IBF,’ the ‘WBO,’ the ‘IBO,’ the ‘Ring’ magazine, and lineal titles, he announced his retirement from professional boxing in August 2017, ending a career of 64 wins from 69 bouts, with 53 knockouts. He holds the record of the highest number of heavyweight title wins (25), the highest number of undisputed championship wins (15), and the highest number of consecutive defenses of his title (14). In his entire professional career, he has fought 69 bouts, of which he has won 64 bouts and 53 of them by knockout. He holds the record for being the longest-reigning combined world champion and for winning the maximum number of world-title bouts. He has also won the maximum consecutive defenses on his unified title. He is a two-time world heavyweight champion and has held the ‘WBA,’ the ‘IBF,’ the ‘WBO,’ the ‘IBO,’ the ‘Ring’ magazine, and the lineal titles. Wladimir and his brother Vitali are the only two brothers to have held all the world heavyweight titles between them, simultaneously. He married model Aleksandra in 1996, but the union did not last long and they separated in 1998. He does not have any children. This was followed by romantic affairs with German singer and actor Yvonne Catterfeld and Czech supermodel Karolina Kurkova. These affairs did not last very long. He is currently in a steady relationship with American actor Hayden Panettiere. They have been together since 2009. The couple reportedly split in 2011 but later confirmed their engagement in 2013. They have a daughter named Kaya, who was born in 2014. Hayden was often seen by the ringside during Wladimir’s professional bouts. He is quite close to his elder brother and supported him during the ‘Euromaidan’ protests in Kiev in December 2013. He enjoys golf and has participated in the ‘Alfred Dunhill Links Championship’ in Scotland. He speaks English, German, Russian, and Ukrainian and was a close friend of legendary German heavyweight champion Max Schmeling. He auctioned his ‘Olympic’ gold medal for US$ 1 million to aid Ukrainian children. Later, the bidder returned the medal to Wladimir, out of respect. He has appeared in the movies ‘Ocean’s Eleven’ (2001), ‘Rabbit Without Ears’ (2007), and ‘Pain & Gain’ (2013). 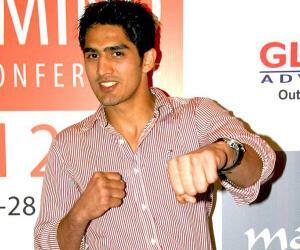 His tall, well-built body has given him an edge over his opponents, throughout his boxing career. He was known for his knockout punch, using a strong jab, straight right hand, and left hook. His mobility and footwork were exceptional for a boxer of his size.